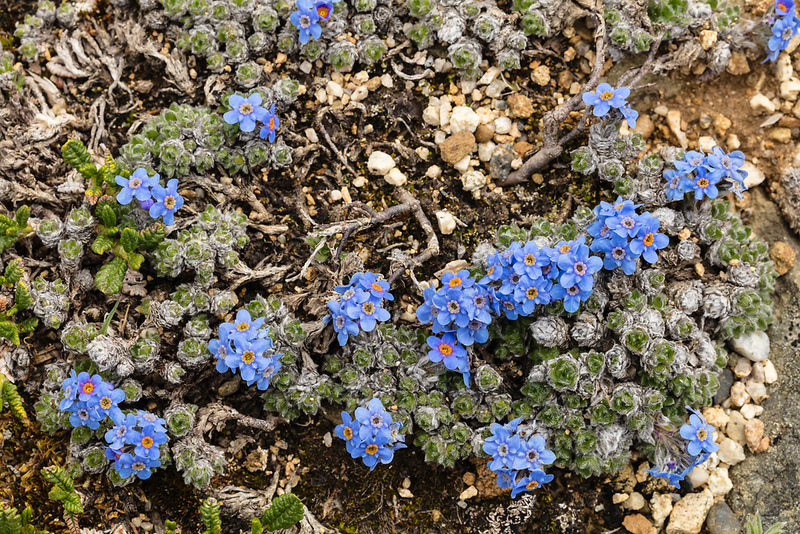 Mountain Forget-me Not (Eritrichium aretioides) in Denali National Park in Interior Alaska. Summer. Afternoon.